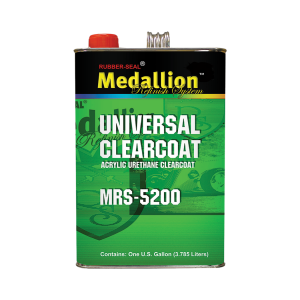 MRS-5200 Universal Clearcoat is a versatile acrylic urethane clearcoat that is ideal for multi-panel and overall applications. It is easy to spray and has good gloss and D.O.I. MRS-5200 mixes 4:1 with RS-2200 series activators. MRS-5200 is available in gallons only.